These little 1" buttons are great for decorating everything from backpacks to cosplays! Who will you bring with you on your adventure? Your first Pokemon, of course! 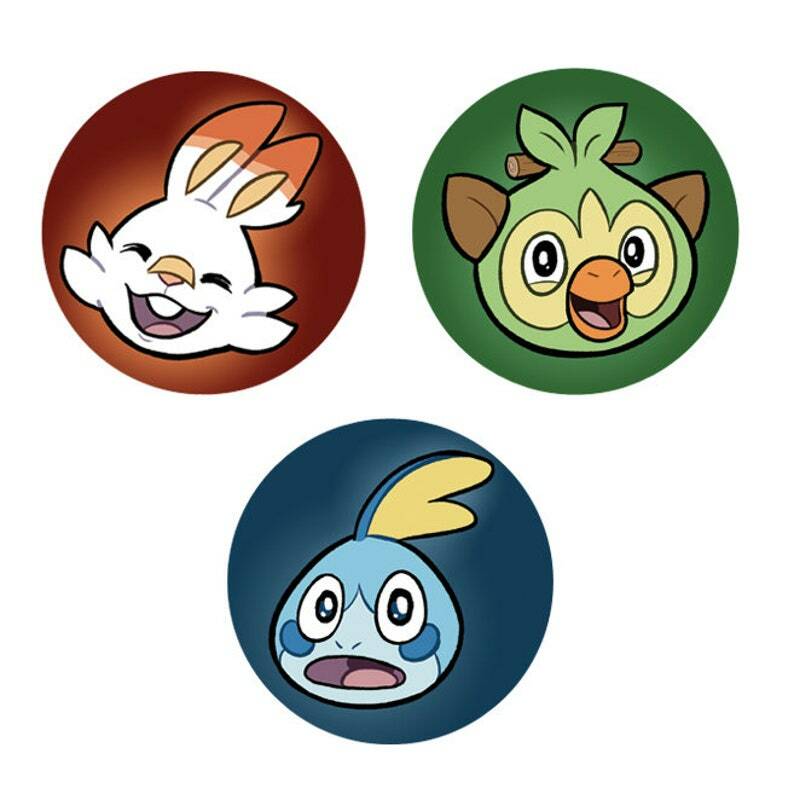 Pokemon from Galar region!